NO. 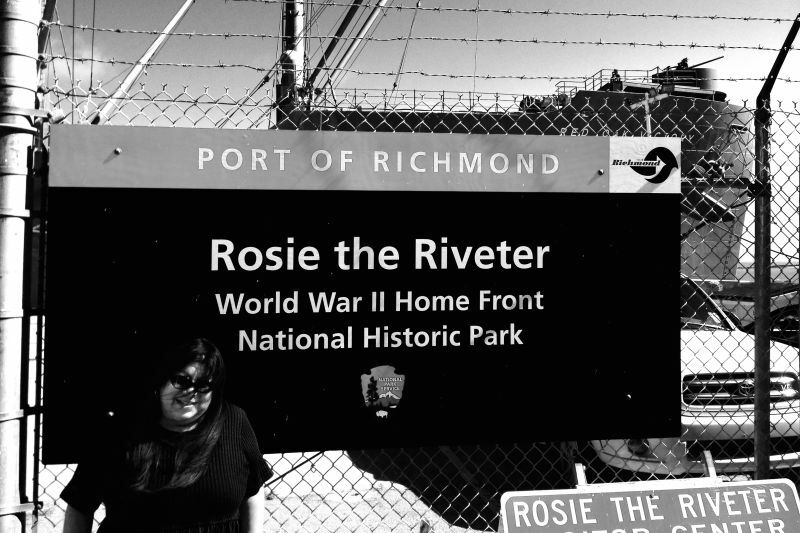 1032 RICHMOND SHIPYARDS DISTRICT - The Richmond Shipyards District was once a mammoth facility covering 880 acres in this North Bay community. The yards were constructed for and by the Henry J. Kaiser Company during 1941 and 1942. 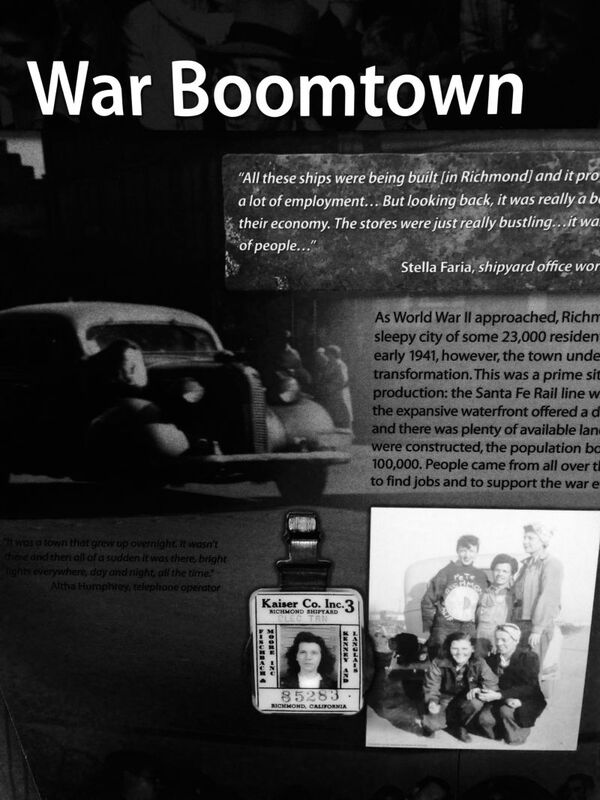 The San Francisco Bay area became a tremendously important shipbuilding center of the nation during World War II. In 1944 the yards at Richmond were the largest in the world. New methods of ship construction used there, including prefabrication and intense labor specialization, allowed the production of new vessels at a record pace. 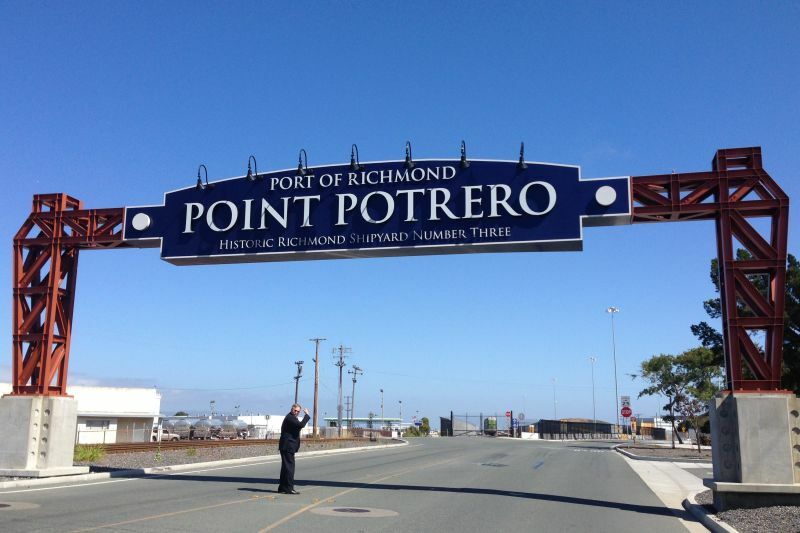 The techniques used at Richmond became a model for ship yards throughout the nation. During the period 1941-1945 the yards built a total of 747 ships, including 519 Liberty Ships (almost a quarter of the total U.S. production). The social and cultural landscapes of the Bay Area were reshaped by the influx of new workers drawn by good wages for unskilled labor. Between 1941 and 1943 the yards hired 90,000 new workers, many of them women, African Americans from the rural South, and members of other minority groups. 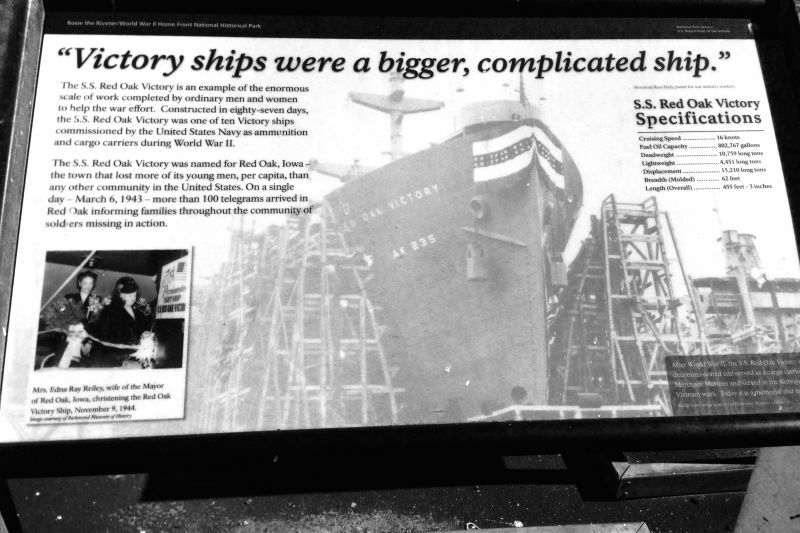 The SS Red Oak Victory is the last surviving ships built in the Kaiser Richmond Shipyards during World War II. It is now a museum. See link below.